■I- :-; is the load to cause the first plastic hinge; thus the beam may carry a load of with redistribution. 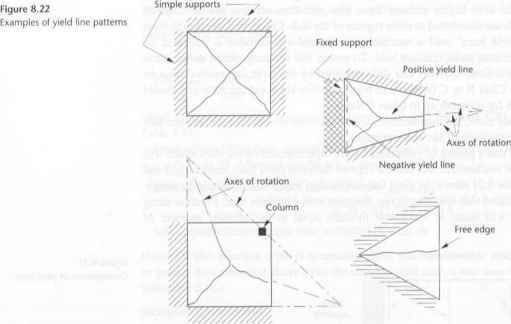 Equilibrium between internal and external forces must be maintained, hence it is necessary lo recalculate the span bending moments and the shear forces for the load case involved. 2. 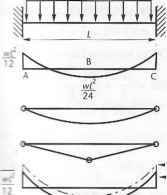 The continuous beams or slabs are predominately subject to flexure. 3. The ratio of adjacent spans be in the range of 0.5 lo 2. 4. The column design moments must nol be reduced. In example 3.3, figure 3.13, it is required to reduce the maximum support moment of •Wra = 147 kN m as much as possible, but without increasing the span moment above the present maximum value of 118kNm.